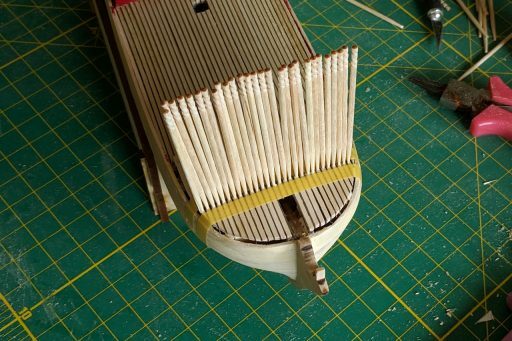 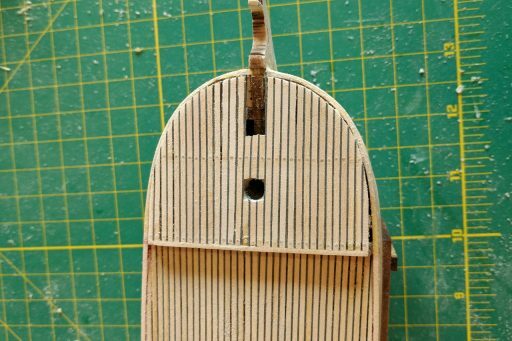 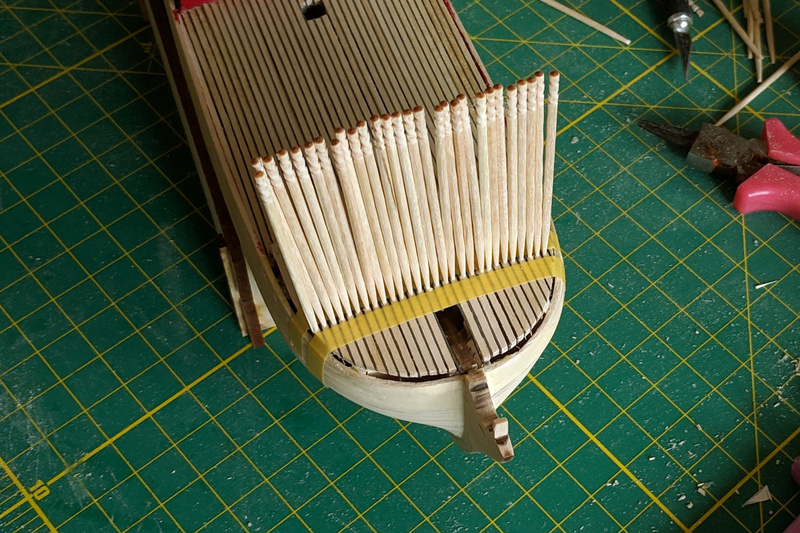 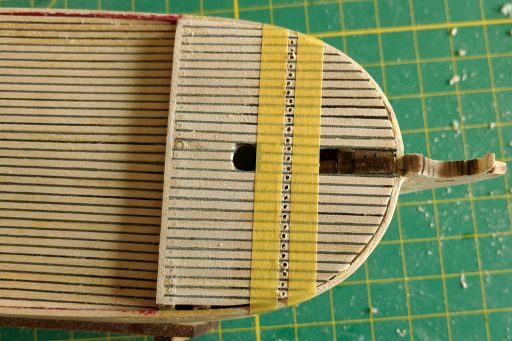 The toothpicks are glued in. After drying, the toothpicks are chopped off and the surface is sanded down. 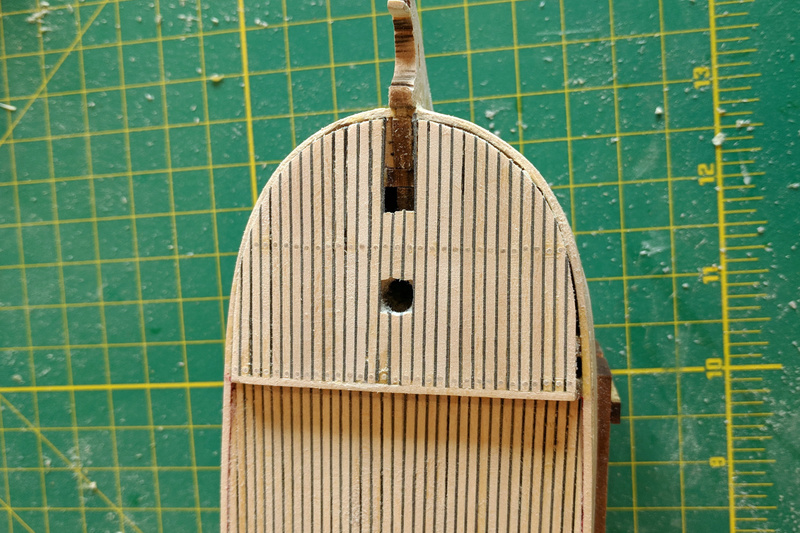 Getting a straight line is a challenge.